Modular block retaining walls, architectural block sitting walls, and cast-in-place concrete walls are services we specialize in for residential clients. 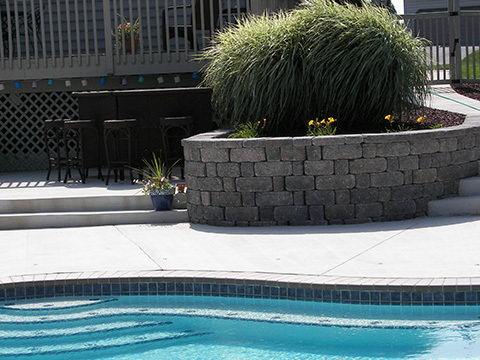 Whether you need a sitting wall next to your new patio, or a retaining wall to hold a mountain back, we can help. We work with many different wall-building materials and have completed numerous projects in the surrounding area.